Perfect for your patriotic Prince or Princess. 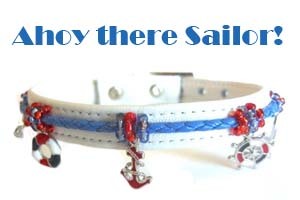 A gorgeous little charm collar with red, white and blue seed beads. A luxury leather collar embellished with metallic leathers, silver charms and rivets. 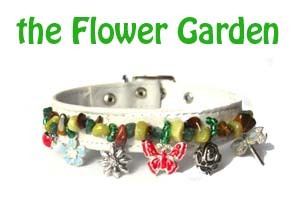 Inspired by the fashion favourite charm bracelets, we have created our own little 'charm collar' for your dog. 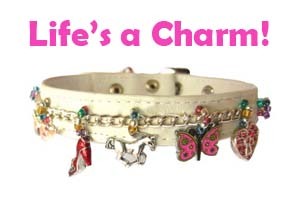 With a selection of funky enamel and silver charms on a silver chain, this collar will delight everyone who sees it. For all you little sailor boys and girls, this is the collar for you. Choose any leather colour, we love red, white or sailor blue. Embellished with sailor charms and blue leather 'rigging' this collar will charm any sea captain....perfect attire for the poop deck! 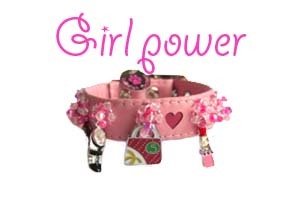 Our unique girl power collar embraces everything that is pretty and pink! 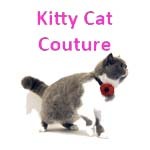 We have decorated it with pink cut out heart motif and embellished the collar with gorgeous 'girlie' silver and enamel charms, accented with pink and silver seed beads. As seen on ITV's Top dog model. A pretty collection of enamel and silver 'flower & garden' charms embellished with a rockery of semi-precious Tigers eye, Jade and Peridot stones. With tiny cut out flowers with green crystal centres. 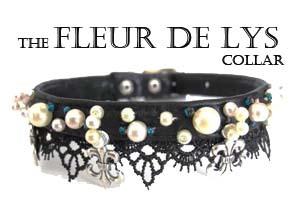 This stunning collar with a lace trim, embellished with silver Fleur de Lys charms and pearls. 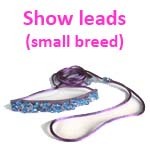 We add little blue seed beads, but you can choose a different colour if you want...just let us know. Perfect for you little four legged golfing companion. 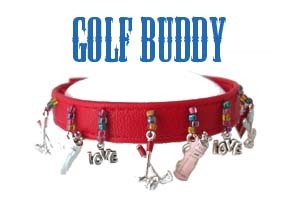 Tee off in style with this funky golf charm embellished collar. Choose your colours to match and let your pooch be the envy of the club! 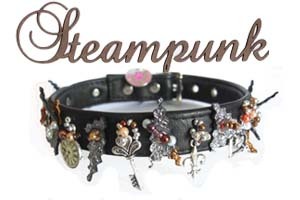 Charm & Trinket collars are not suitable for rough or active use. These collars have dangling loose elements so please be 'dog aware' with regards to choking hazards. 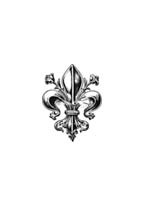 If you think of the Charm & Trinket collars as items of jewellery, something that you would treat carefully and take off at night.